1. Corazon Mittens - 2nd mitten is done! 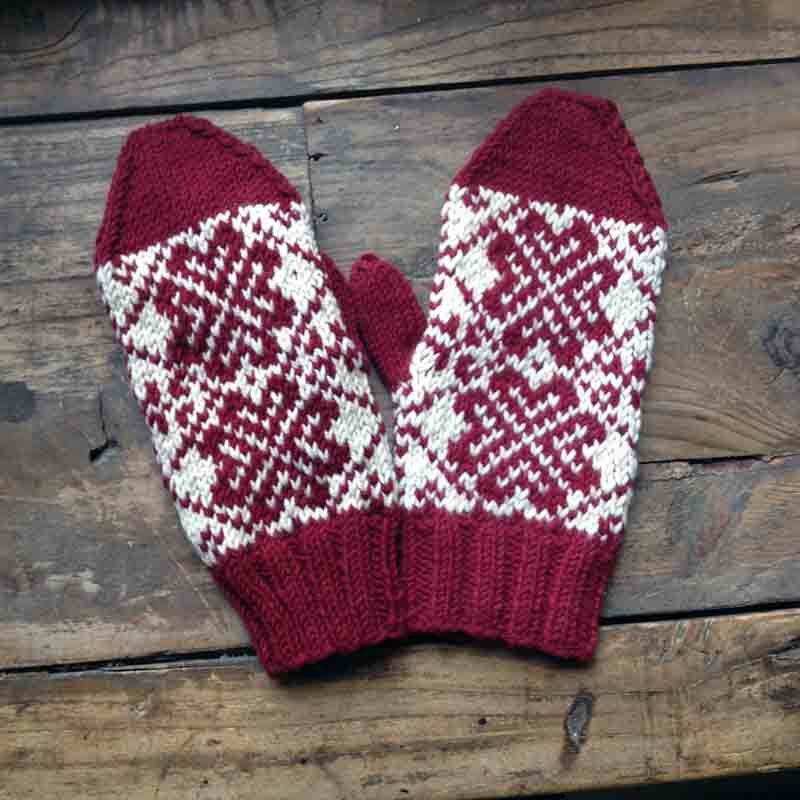 You can see the difference between the steam-blocked mitten (right) and the fresh-off-the-needles mitten. 2. Gradient Rug - This is one of two rugs which ended up being a rush project. I set up seven yards of rug warp on the loom for my first ever rya weaving project. I was a bit intimidated by the project and procrastinated, and then our moving date was looming, so I figured "what the hay?" and went for simple flat weave rugs that would be achievable. I got through two of them before breaking the loom down (there's a red-orange one that hasn't been fulled yet). 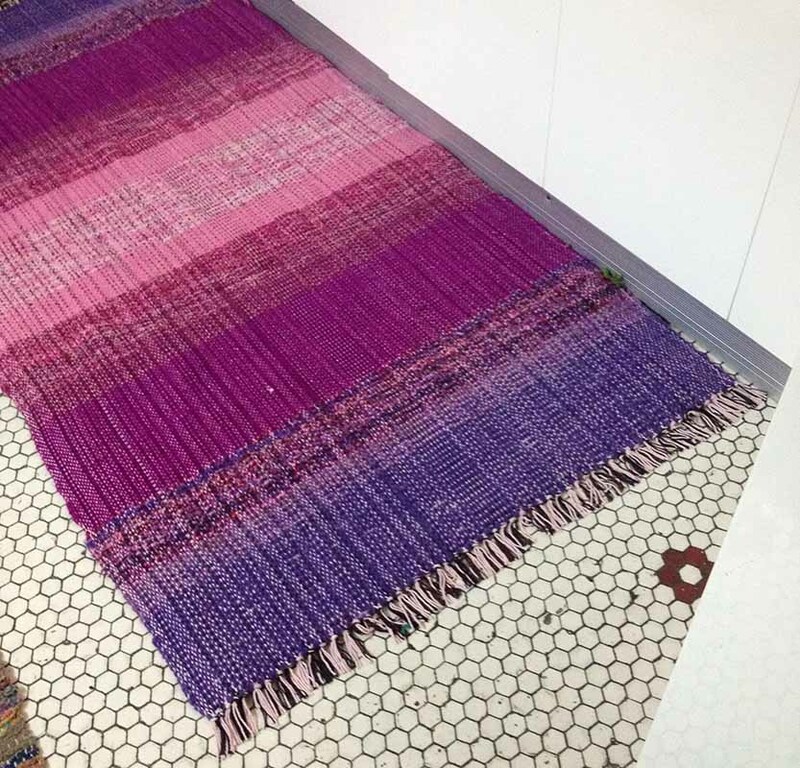 Both rugs were made entirely out of stash yarn. The warp is left-over black carpet warp, some random brown cottolin (tripled), plus the Chinese cotton twine I've been experimenting with. I set up the wefts by picking color gradients, and then using a scale two wind two equal balls in each color. From there, the only challenge was trying to remember the order when the cats knocked the box of balls over. So far, it seems like they're going to be great kitchen rugs. Speaking of which, I'm in a new kitchen! We're all moved into the new place, and turning in the keys to the old landlords today. I'm excited for a sewage-free future!